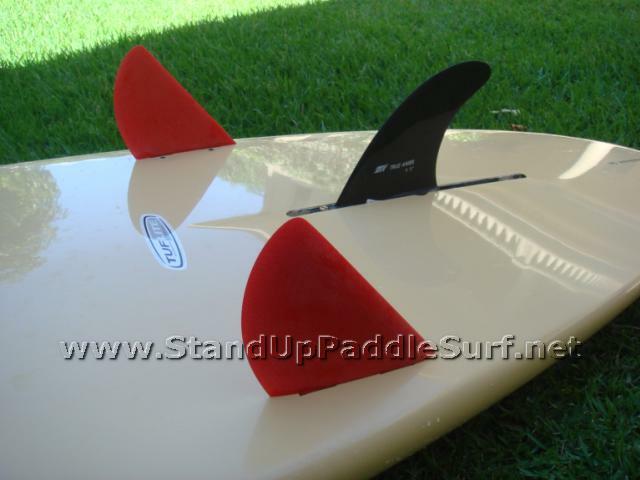 In an interview I did with Donald Takayama he mentioned some state of the art radical new fin designs. I asked when they will be available and he wasn’t sure so I called up Steve over at Surftech and he had some that I demo’d. They are so different that I didn’t even know which side was forward. I went straight from a meeting over to Surftech and got the fins (2 Takayama sides at 4.5” or 5” and a Takayama 5.5” center), put them on the Surftech Takayama 10’7” and headed over to Ala Moana. I paddled out to Courts and caught some head high waves in glassy conditions. 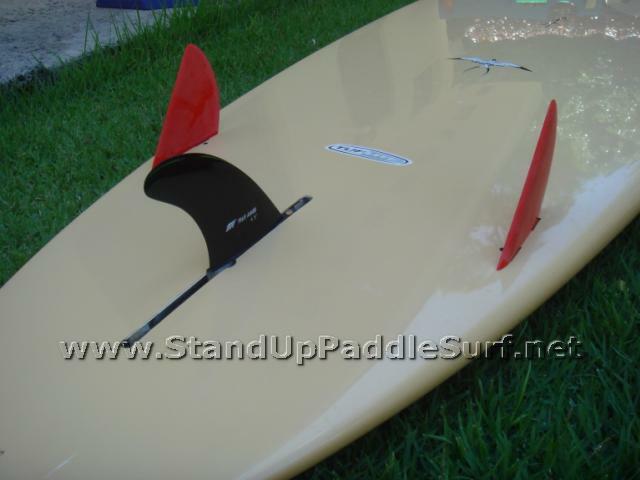 The next 2 sessions I changed out the middle fin to a True Ames 4.5” and surfed at Big Lefts. This is the setup I used. I’ve been riding my 8’9” and 8’7” recently and wanted to try another board for the swell. 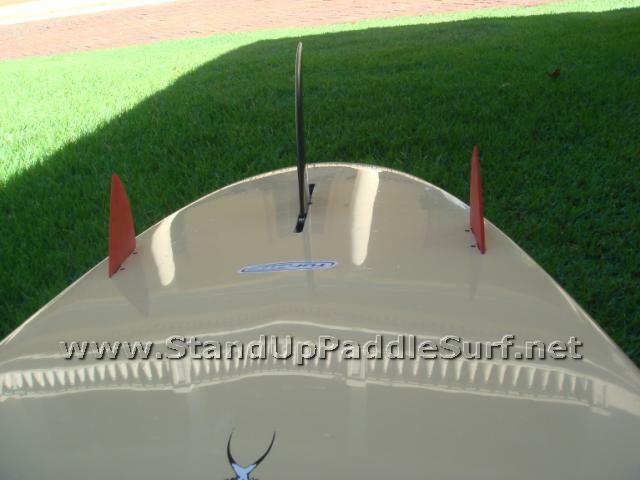 After trying Duane DeSoto’s 10’er I wanted to see if my Takayama had the same glide and paddle power. 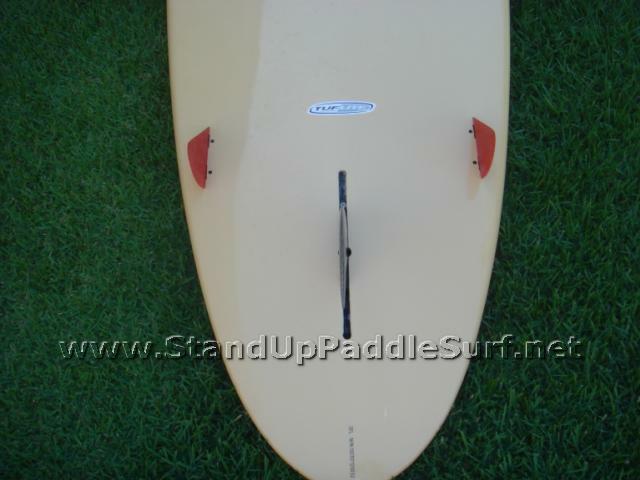 The Takayama had the same glide and paddle power which was really nice. It’s also amazing just how different the boards I have are from one another. At Big Lefts I got some great overhead waves. The board never felt like the tail wanted to slide, even on steep faces and late drops. I had a lot of control and the fins had a lot of bite and drive. I had no problem making stronger turns although when the wind picked up I got tossed a bit when losing my balance. 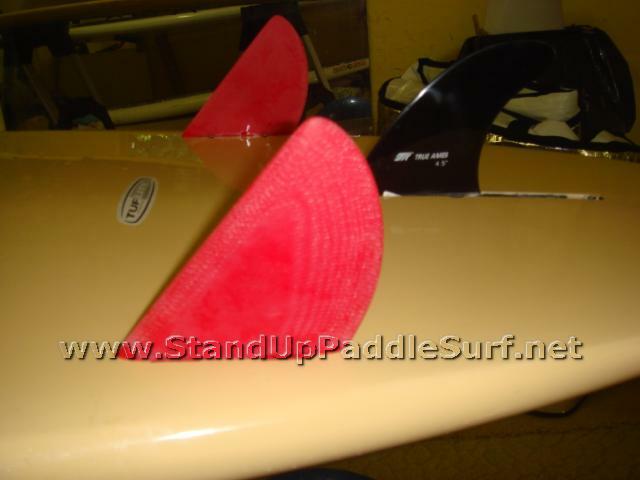 These fins are made out of fiberglass and are sharp. At first they look a bit scary. The fin cut my leash in half with no trouble, forcing me to paddle in to get another one. The waves were so good I paddled back out. 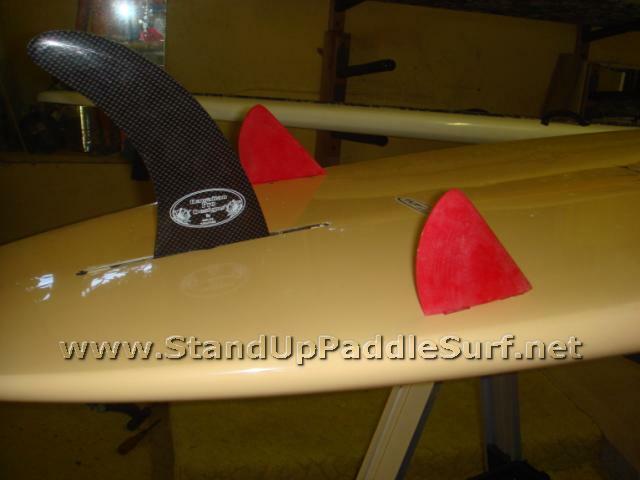 After my 3rd session w/ these fins I drove over to Surftech to give my report to Steve. We ended up calling Donald and asking on the fins, the right combo, etc. I wanted to see if he had them in future fins and not only in FCS so I can try them on my other boards that I’m used to riding. 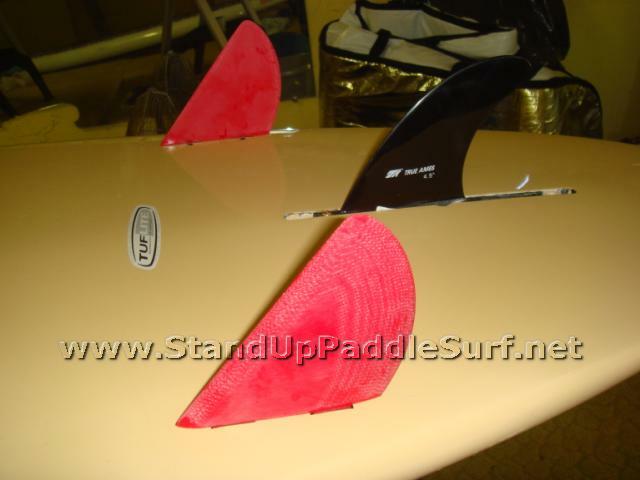 He said that some of the team riders were riding the smaller sides and an 8” pivot fin for the middle. 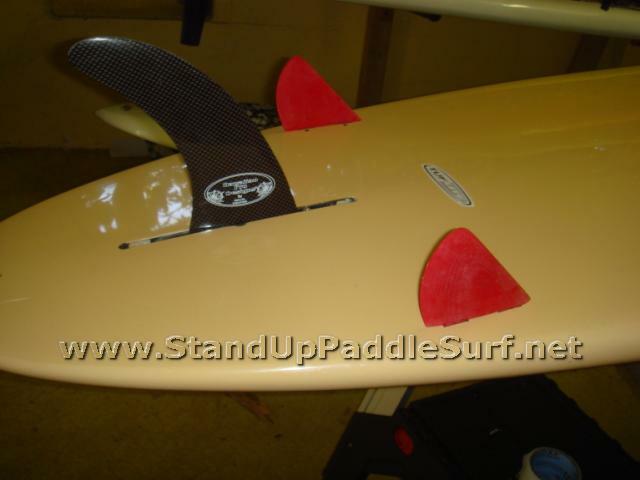 I got more fins from Steve and put them on the board. I haven’t ridden it yet but will give a report once I do. The funniest thing about the day was that after talking with Steve and Steve talking with Donald, we went out to the car to get more stuff. I showed Steve my fin setup and he started laughing hysterically. “You have them on backwards!” he said between his laughter. I was so embarrassed but honestly thought they were pretty good so I guess we’ll see how they work when put on correctly. 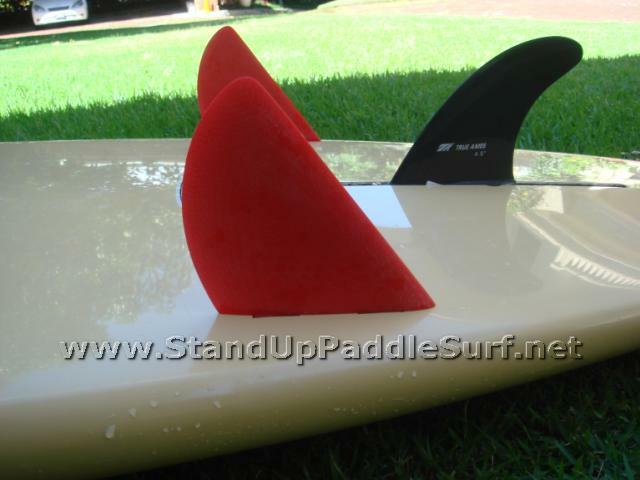 I see the guy who works at Legends in Carlsbad surfing a pretty big – probably a 10-6 – DT board with these fins, and he rips it. I think probably a 7.5 finger in the box. [..YouTube..] the minimal tips allows for a lot of release, and takes a lot of the area out off the fin so that we could add some base to it. 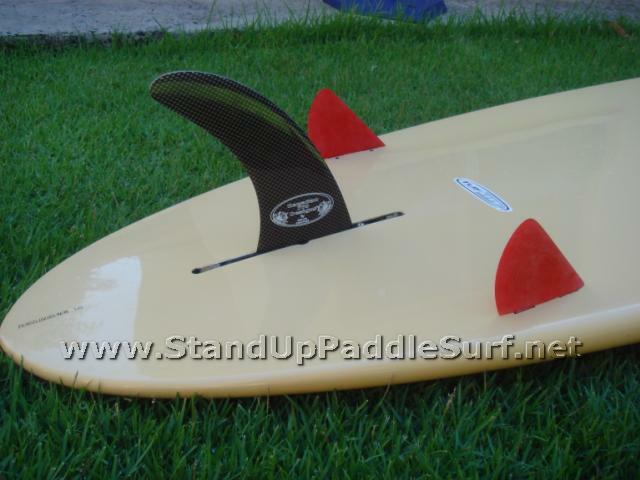 that creates a fast, loose fin, with a very decisive leading edge. 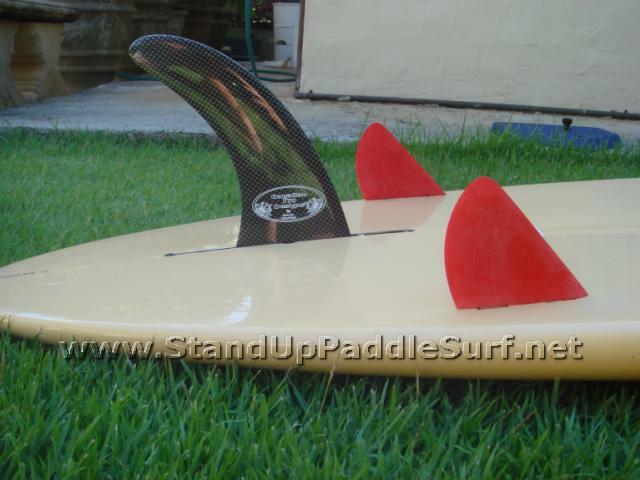 thing works great in lined up little beach, freaked me out when i first got a pair last december, i couldn’t surf em.